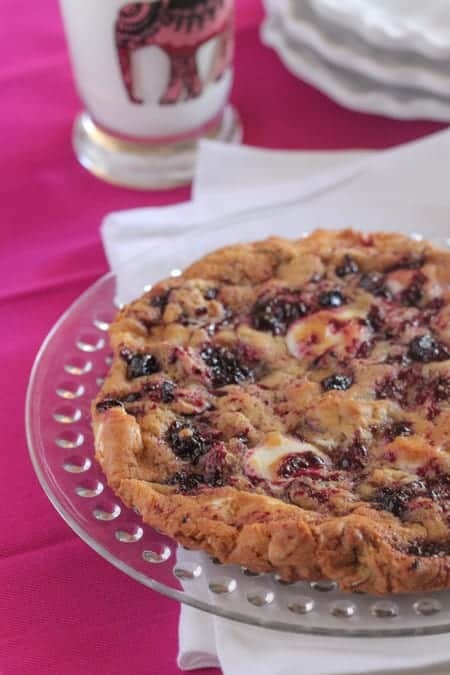 This Giant Almond Berry White Chip Cookie is the perfect sweet treat and just the right size for sharing with a friend. Buttery crisp and quite the show stopper. Some days it’s just kinda fun to make one giant cookie. 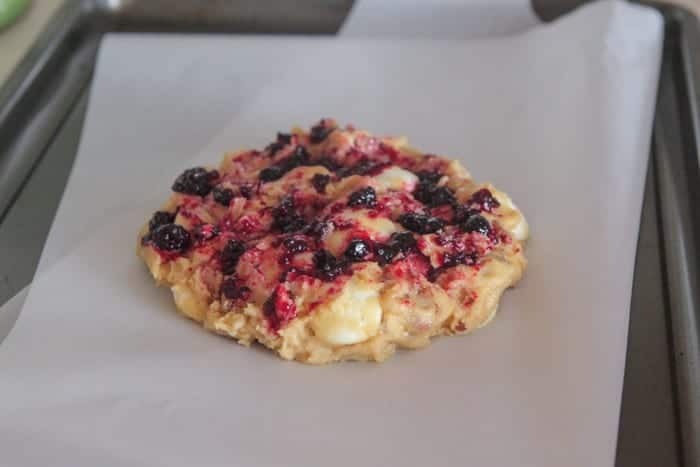 I whipped up this new almond berry fabulous cookie with Fisher Nuts today that I can’t wait to share! 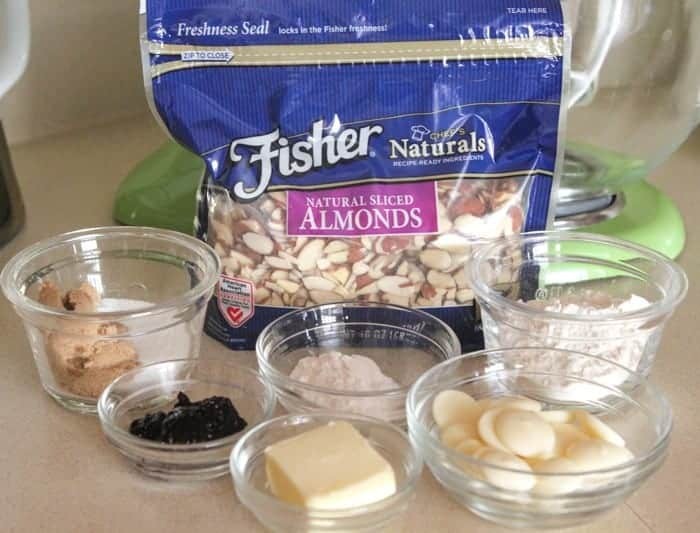 Simple pantry ingredients to get started including Fisher Natural Sliced Almonds. Start by creaming your butter and sugar. Add a couple tablespoons of beaten egg. Give a good mix until dough forms. One giant cookie dough scoop! 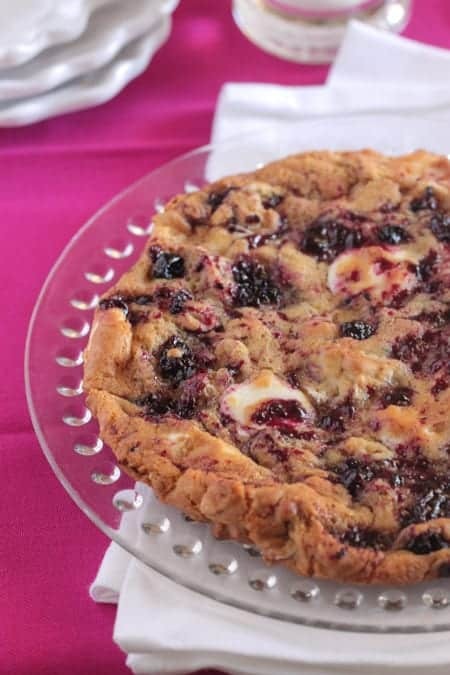 Flatten, then top with a tablespoon of berry jam. Bake until golden and baked through. Beautiful giant cookie ready to be eaten! Preheat oven to 350 degrees F. and line a cookie sheet with parchment paper or a silpat liner. 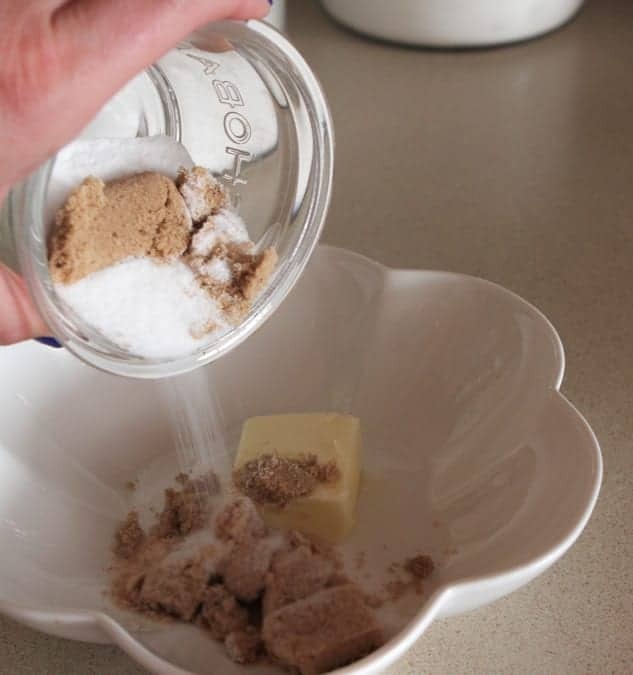 Place butter and sugars into a small/medium mixing bowl, mix until well combined. 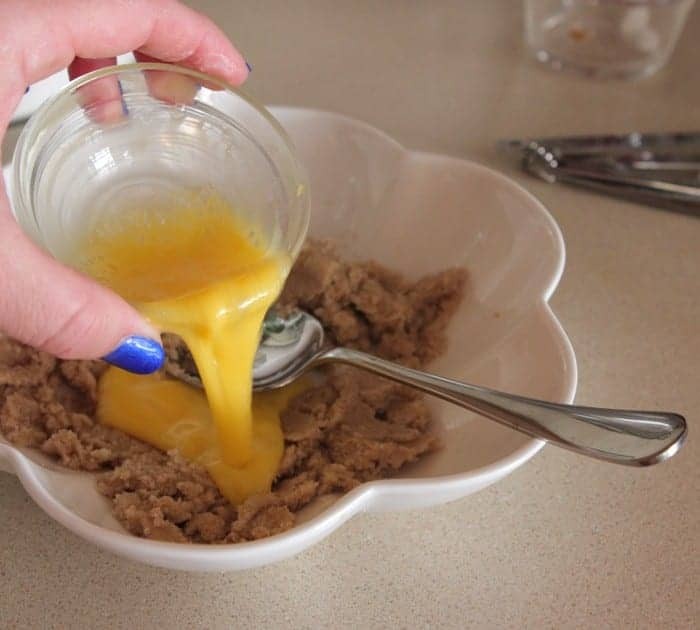 Add egg and vanilla, mixing until combined. 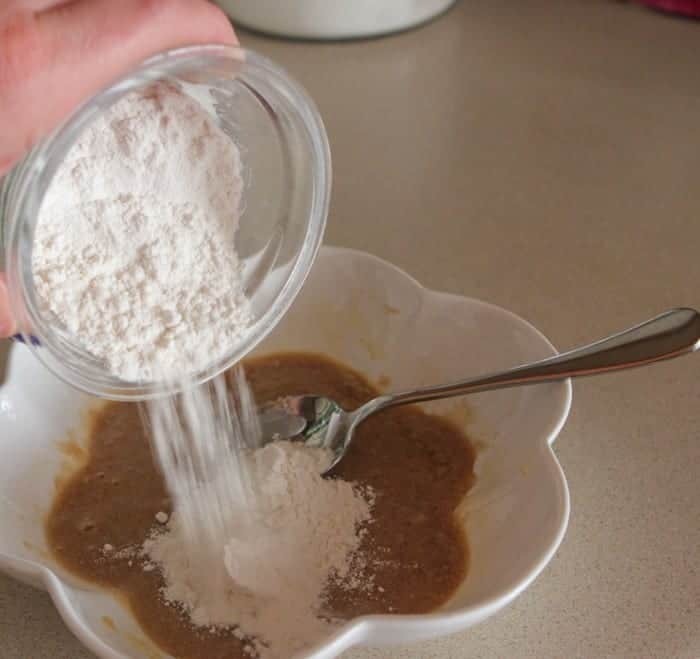 Slowly stir in flour, pudding mix, salt, baking soda, almonds and candy melts. Mix until dough forms. 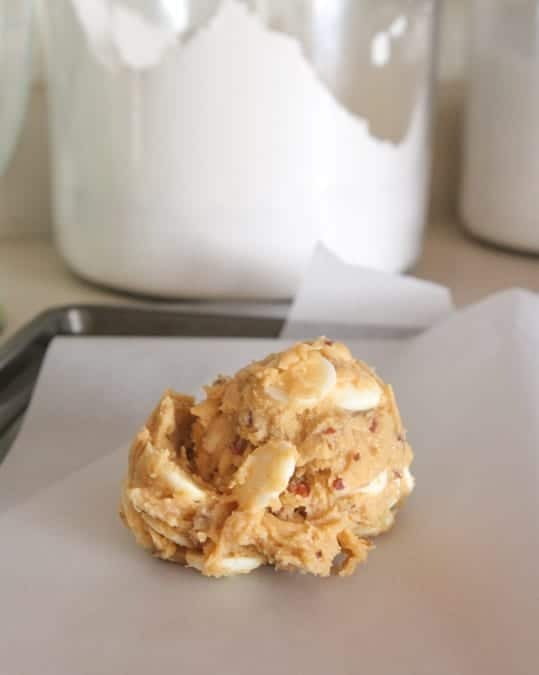 Scoop onto prepared baking sheet, press evenly into a round shape. Top evenly with jam then bake for about 15 minutes, until golden and baked through. Remove and let cool. Love, love, love this giant cookie! I swear white chocolate isn’t used enough. Pinned! First of all — GENIUS move with the jam on top! 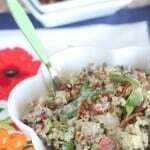 Love the ingredients you chose! 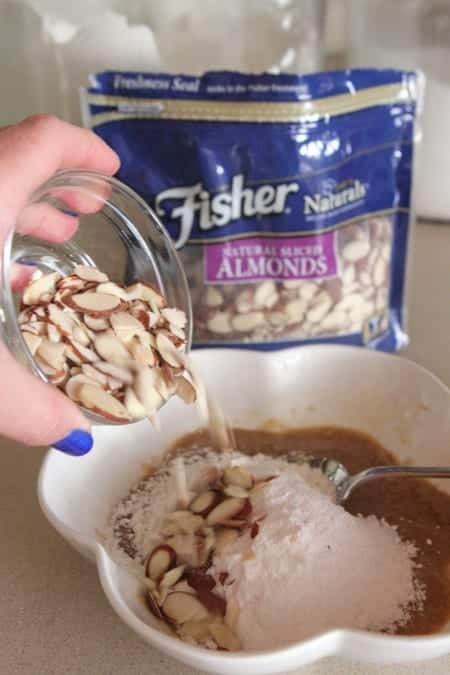 I bet the almonds add such great crunch and flavor. Look at how good those look!! 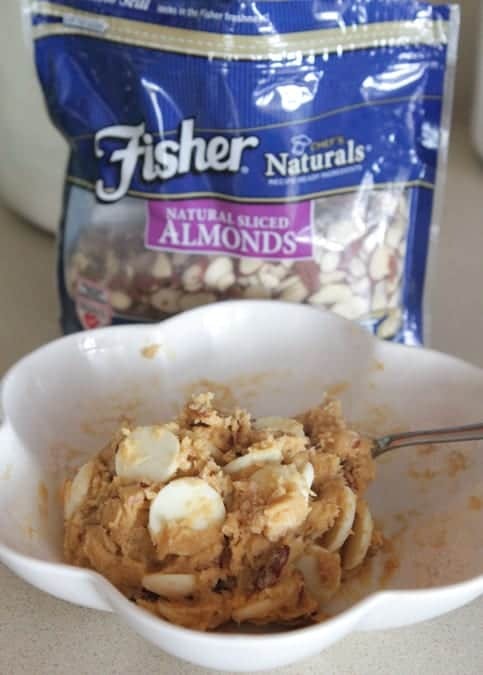 Love all the add-ins, especially the nuts! I don’t care if it’s giant – I still want 5! Must try this cookie stat!!! 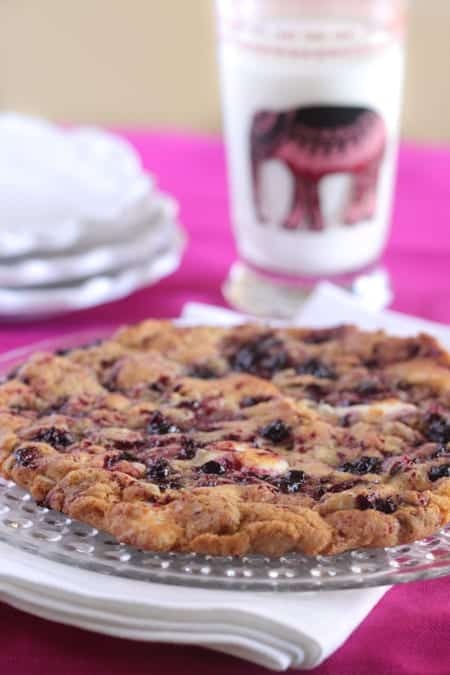 This giant cookie is a stunner! 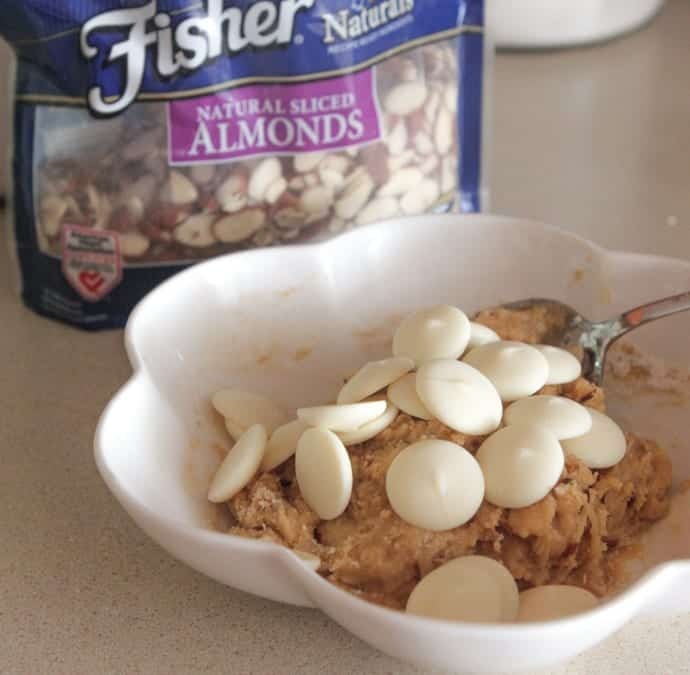 Love almonds, white chocolate, and berries together! What a perfect combination! 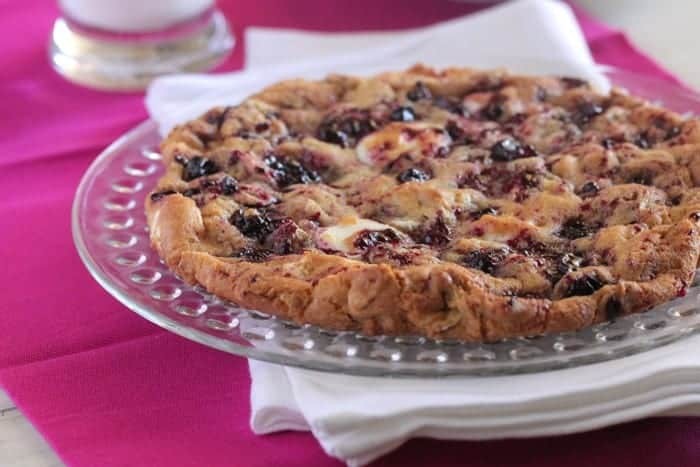 This looks so dreamy – love the flavor combination and REALLY love the texture of that cookie – yum! I want to take this cookie on a date, it looks so good. Love that berry swirl on top. Pinned. I love your giant cookies! 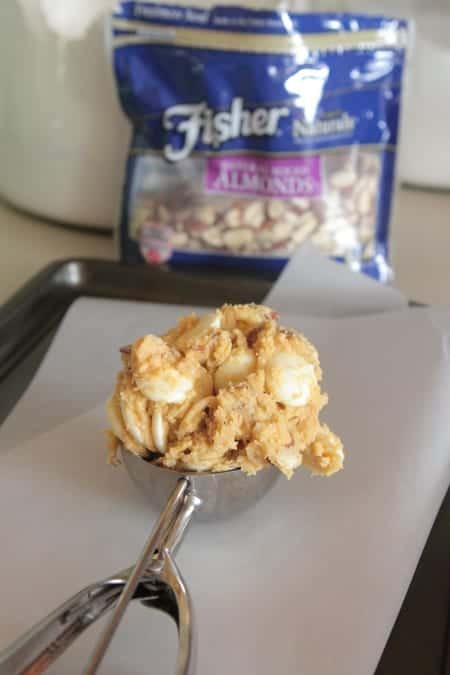 This one with the berry swirl and almonds? FAVORITE! I LOVE giant cookies! I can’t get over all the amazing flavors you’ve got going on here – YUM! 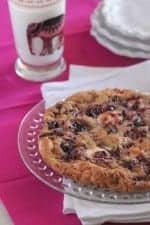 I love all your different giant cookie recipes! Loving the jam in this. I bet it’s be good with chopped fresh berries too.